Review: It all began with a little monkey - a monkey that brought hope and laughter - a monkey named George, Curious George. It would be a difficult task to find a child or adult who has never been touched by the antics of the curious monkey. George does everything we wish we could do, but are afraid to try! But more remarkable than George is the story of his creators, Margret and H.A. Rey, in The Journey That Saved Curious George by Louise Borden. The Journey That Saved Curious George begins in 1906 when Hans Augusto Reyersbach was a boy growing up in Germany. From a very young age, Hans knew he had a special love for the zoo and for art. Eight years behind Hans, Margarete Waldstein was growing up in Hamburg, Germany with a dream of studying art. After serving in the German army in WWI, Hans left Hamburg for Brazil, where he found "Monkeys and more monkeys!" Nine years later, Margarete, a German Jew, left Germany as well and headed to Brazil. It was in Rio de Janeiro where she found a family friend, Hans and eventually she married him, they became Brazilian citizens, and honeymooned in France. It was in Paris where Margret and Hans developed the stories about a monkey named Fifi. But, as the Rey's were becoming more settled and dedicated to their children's books, the world fell apart, leaving the two artists on the run as they escaped Paris during the German invasion. Their tale is an inspiring tale, one that will bring hope and a sense of dedication to everyone who hears it. The Journey That Saved Curious George is a phenomenal book. Written in the same fashion as all the Curious George books, the author creates the sense that they Rey's were the personified Curious George. Their adventure, though entirely factual, takes on a fantastic tone as it is told through prose. The illustrations by Allan Drummond are also modeled after the Curious George books, which add to the intrigue. Also, included in the test are copies of original documents written and signed by the Rey's. Margret and Hans Rey were truly remarkable people, and it has taken way to long for their story to be told. Everyone who has ever been touched by that cute little monkey and the man with the yellow hat must learn of the story of two people who left Paris on two shoddy bikes with minimal belongings, barely any money, and their manuscripts that told the story of a curious monkey named Fifi. 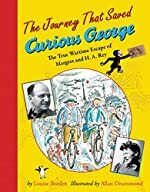 We would like to thank Houghton Mifflin Harcourt for providing a copy of The Journey That Saved Curious George for this review. Have you read The Journey That Saved Curious George? How would you rate it? 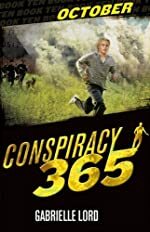 Review: The clock is ticking as Cal Ormond is down to three short months to uncover the truth behind the Ormond Singularity as October is set in motion in Gabrielle Lord's tenth installment in the Conspiracy 365 series. October begins with 16-year-old Cal escaping from his latest horrors - Snake and Jacko, two desert dwellers who want Cal for the reward money, and their vicious dog, Sniffer. But, luck is with Cal once again as he is able to defy probability and escape capture. His goal now is to get inside Oriana's safe at Zürich Bank. Cal's friends never cease to pull through as Boges is able to fabricate a fingerprint that will bypass security and fake disguises for he and Winter that will fool anyone. But, they still need Oriana's PIN. Is it possible that Cal can uncover the PIN to a Zürich Bank account? If he can succeed, will all the answers become crystal clear? If the past nine months are any indication, nothing will come easily to Cal, and every advancement will result in more danger and even more questions. October does not disappoint the avid Conspiracy 365 readers. It is amazing that Gabrielle Lord is able to maintain a high level of intrigue, mystery, and suspense through ten books in a series. October seems to have slightly less pull than the other books; however, with only two months left, it can be assumed that we're hitting the calm before the storm. Everything will be revealed in two short months, and readers can't wait! Lord's writing is compelling from start to finish, as there is never a dull moment. Readers can't bear to put the book down, and when the end is reached, they'll be counting the days for the next month. She includes protagonists that induce readers to hold their breath until they are out of danger. Cal, Winter, and Boges are all filled with so much hope and admiration in spite of all they've been through. But, she also includes antagonists that readers love to hate! You'll find you eyes moving faster and faster across the page, in a desperate effort to save the heroes and destroy the foes; the pages just don't seem to turn fast enough. Once again, Gabrielle Lord can be hailed as one of the best writers of young adult suspense. It's almost disappointing that the year is coming to an end . . . but, although Cal's mystery will come to an end, hopefully Lord's writing won't. We would like to thank Kane Miller for providing a copy of October for this review. Have you read October? How would you rate it? Review: Uncle said the dead did not return. He was wrong. This ghostly adventure book is The Ghost of Crutchfield Hal written by Mary Downing Hahn. A girl named Florence goes to her uncle's house, where she meets her cousin James and the ghost of her cousin Sophia. Florence becomes friends with James, but Sophia uses Florence to try and kill James because she blames him for her death. In an effort to stop Sophia from haunting them, Florence and James re-create Sophia's death. Then as Sophia is killed again, James and Florence wonder if she is really gone! They don't know for sure but haven't seen or heard her wandering the house. Is Sophia really gone? For the most part the characters are interesting, especially Florence. I like how the characters are described in this book; you get a lot of details. Plus the ending of the book really puts the whole story together, at which time everything that happens finally makes sense. I like the ending because it does not leave things hanging so you never know what happens, it tells you what happens. In The Ghost of Crutchfield Hal it does not take long before you are hooked - around the end of chapter one. Also this book is very well organized, and it moves at a good pace, helping to keep the reader interested. In fact, there are some parts of the story I kept reading it over and over because it got better and better. Overall though, I say it is a good story and I give it 4 out of 5 stars. Review written by Katie (6th grade student). 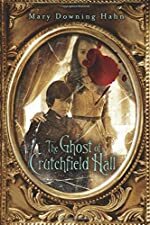 We would like to thank Houghton Mifflin Harcourt for providing a copy of The Ghost of Crutchfield Hall for this review. Have you read The Ghost of Crutchfield Hall? How would you rate it? Review: The PS Brothers is a book of responsibility and hard work, written by Maribeth Boelts. Russell Woods and Shawn Timmerman are just two 6th graders that are poor. They have nothing else but themselves and their family. Sixth grade is kind of difficult for them because every day they have to deal with their bully Terry that would always bother them and mess with their stuff. He would also be noisy. The PS Brothers is mainly about Russell and Shawn trying to get a dog in the hopes that it would protect them from all bullies like Terry. But they don't want a cute, sweet dog, they want a mean, vicious dog that will frighten all bullies and make it so that no one would bully them ever again. So one day they passed a homemade sign that reads "Purebred Rottweiler's-$200". As soon as they see that sign they go to the owners house to get more information. The first payment would be $10 and the rest they could pay later. So they set out to find a way to raise money, and they eventually decide that the perfect job would be scooping up poop. Every day if they made money they would go make a payment to Nick the owner of the puppies. Will they ever able to raise enough money? Will the dog be able to protect them? What I like about The PS Brothers is that Maribeth Boelts is so descriptive in the story. She provides a lot of details about a section of the story and what people would be doing as well as providing facts on topics. I also like that Maribeth made Russell and Shawn so creative about their ideas to raise money to buy a Pit bull and it is a great message to show they really believed in themselves. I did not enjoy the petty arguments that Russell and Shawn would get into because it seems pointless. But everything else I truly liked and it is just really creative. You should read this book because it will inspire you to do the impossible and regardless of how old you are. Just be creative like Maribeth Boelts. When I read this book I wished there was more because I loved how they knew that their parents would not give them the money to buy a dog so they decided to create their own business and they too believed that they would succeed. I think this book is an amazing book because it can touch children to believe that they too can do whatever they want to do in life even though it can be very difficult. So you have to continue to find out did they raise the $200 dollars before the owner Nick give away the puppies or were they too late? Review written by Ivonne (6th grade student). 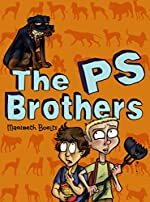 We would like to thank Houghton Mifflin Harcourt for providing a copy of The PS Brothers for this review. Have you read The PS Brothers? How would you rate it? Review: Oracles, Demons, and a quest for the silver treasure boxes! This is what Oracles of Delphi Keep; book two, The Curse of Dead Man's Forest by Victoria Laurie is all about. In this book 13 year-old orphan Ian Wigby and his fellow orphans, Carl and Theo, must enter a magical portal that sends them to who-knows-where to find the next oracle that has magical healing powers. But an ancient prophecy warns that if the three friends enter the portal, Ian will meet his impending doom! But when a great evil enters the keep, the three friends must figure out if risking Ian's life is worth finding the third oracle and healing all the children in the keep. This is a great novel full of face-paced action, well-developed characters, and never-ending suspense. This book is very interesting, and very exiting. I just couldn't put it down! After I read the ending I turned the page expecting to find the next chapter waiting for me. I rate this book a five out of five. I rate the book this because I love anything having to do with mythology and this book is full of it! I love how right in the beginning it starts out with action. For example: "Something large and cone-like was zigzagging back and forth across the horizon." And "It's a cyclone!" Review written by Anthony (6th grade student). We would like to thank Random House for providing a copy of The Curse of Deadman's Forest for this review. 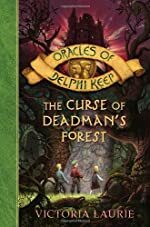 Have you read The Curse of Deadman's Forest? How would you rate it? Review: I'll be the first to admit it; Sing Down the Moon is one of my favorite books. Scott O'Dell once again scores a home run as far as popularity goes. He mixes emotion into a wonderful story with a Navaho girl, Bright Morning, who's captured by Spaniards to work as a slave. She doesn't know who to trust when a treacherous turn of events follows. Scott O'Dell's sequel, Sing Down the Moon, follows up after Island of the Blue Dolphins. I love the way that Scott O'Dell creates a plot against the American soldiers and I actually believed that they were the evil enemy, and in a way they are. He says "I watched him in the saddle, stooped, and my heart went out to him". Talk about emotion! He uses excellent figurative language all throughout the story. I was hooked right away. The Navajo girl, Bright Morning, is captured by Spaniards. She's taken to a settlement and eventually flees with her friend as a "guide." They return to Bright Morning's tribe, only to find that they immediately have to flee from the American soldiers. They're taken to an Army camp and they eventually escape. What will they do now? Scott O'Dell's ending is remarkable. I like the way that Scott O'Dell mixes history in all of his stories. Personally, I like the way that he uses Native American names to bring across the characters' personalities. I love it. I hated the American soldiers when they tried to take over the Navajo people. Review written by Colleen (6th grade student). We would like to thank Houghton Mifflin Harcourt for providing a copy of Sing Down the Moon for this review. 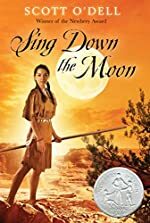 Have you read Sing Down the Moon? How would you rate it? Review: Brain-washing corndogs, an awful stink and not getting any candy! What could be worse than that? Not getting ANY candy, now that is not fun at all!!!! 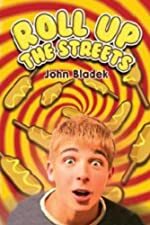 I read the book Roll Up the Streets, by John Bladek. The main characters are Jake Machet, a sixth grade student, and his friend Samantha Warkofski (Sammie). Jake and Sammie are two students in a small town that really stinks! One day Sammie goes to Jake's house for dessert and Jake's dad overhears them talking mean about J. P. Rumblegut. Jake is grounded for three day while Sammie moves away. Maggie, Jake's little sister, tells Jake that she saw Sammie then Jake is so excited that he runs away to J. P.'s factory where he thinks he'll find Sammie. The good news is that he finds Sammie, but he ends up in much more trouble than before. On the first reading, the beginning of the story is confusing, slow and Jake's little jokes and comments are supposed to be funny but instead are annoying. The story has little adventure or excitement until close to the end. One of the parts that I liked best was when a character changed into something that totally surprised me. When I read the book again, the beginning was not as confusing and I liked Jake's comments more than the first time I read the book. I got much more out of the book the second time I read it, so I suggest you read the book twice too. In the end, I rate the book a 3 out of 5 stars because, for me at least, it required a second reading. We would like to thank Kane Miller for providing a copy of Roll Up the Streets for this review. Have you read Roll Up the Streets? How would you rate it? Review: Battle, Friendship, Honor, Loyalty, Medieval! Do those words interest you? Are you ready for craziness? 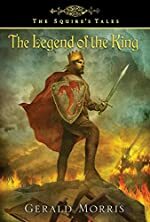 The Legend of the King is a brilliant book by Gerald Morris. It is the 10th and latest in the Squire's Tales series. There are actually 5 main characters in this story - Sir Terrence, Sir Gawain, Sir Lancelot, Mordred, and King Arthur! King Arthur's son Mordred has spies in Camelot reporting the actions of the Round Table. Planning to destroy Arthur's kingdom, Mordred's army has done as much as they could to break up the loyalty and trust of the best knights of King Arthur's Round Table. The brutal strike in Orkney by Mordred's army aggravates King Arthur - and now Arthur knows what he must do! The risky call of war was confidently made by Arthur! However - Camelot has other things to deal with! King Arthur sends Gawain to battle former knight Sir Lancelot in single combat to get revenge on him for his lover affair with Queen Guinevere! Arthur's army sneaks an attack on Mordred while his army is sound asleep. However - as the major battle commences- King Arthur realizes his army is outnumbered 3 to 1. Despite this, King Arthur gives the war signal to fight Mordred's army. Brave knights of Camelot make way to the center of the battle to defend the pride of Camelot! One army will not survive the epic battle that day! I like how all the action in the story is well described. Gerald Morris brings the story to life very well. I admired how Terrance, Gawain, Lancelot, Gaheris, Lynette, and King Arthur all have an important role in defending Camelot and the honor of the Round Table. The author does a good job of keeping my interest by always ending each chapter with a new dilemma. There is always a new conflict being faced by one of the main characters. I also enjoy the full descriptions of each battle fought in this novel. The author makes you feel like you are a part of the battle and are watching it live and in person. I do not like how the novel is subtle at the very end. You can't even tell if some of the main characters die or not! Because of the ending, I hope Gerald Morris will write another book in the series. The medieval terminology is also confusing and hard to comprehend at times in the book. Overall - I strongly recommend this book to anyone who is age 11 or older. I rate this book a strong 8 out of 10.
Review written by Sahil (6th grade student). We would like to thank Houghton Mifflin Harcourt for providing a copy of The Legend of the King for this review. Have you read The Legend of the King? How would you rate it? Review: "Foote held the steak above the sleeping vampire's heart. I held the mallet in my shaking hands, trying to work up the strength to swing it and end the 'life' of the monster that wanted me dead." Svetlana Grimm just moved from Texas a few years ago to Sunny Hill. She has always been home schooled by her mom, but now that her mom wants to work, she has to attend 6th grade at Sunny Hill Middle School. Her first day of school doesn't go so well when she meets her science teacher, Ms. Larch, who offers her whole class chocolates. Svetlana is a vampire, or so she thought. Vampires only eat red, pink, and white foods, and since the chocolates were brown, she doesn't take one. A Taste for Red by Lewis Harris is an amazing book! At that moment, Ms. Larch knows what Svetlana is. She keeps Svetlana after school and talks to her through their minds. Svetlana knows now that her teacher is also a vampire. She meets Dwight Foote and Fumio Chen at lunch the next day. After Sandy Cross, Marsha, and Madison go missing (three girls from Svetlana's school, who she doesn't really like), Svetlana meets her neighbor Lenora Bones, who is a very old woman. Apparently she is like Svetlana too. She explains to Svetlana what the Circle of Red is, a group of people like her and Svetlana who protect the secrecy of people like Svetlana and stop sadistic vampires, and tells her that she is not a vampire. Bones tells Svetlana that Ms. Larch, however, is a vampire and she needs to be stopped. Ms. Larch also wants Svetlana dead because she is (according to Lenora Bones) a part of the Circle of Red. Immediately. When Bones gets hurt, Svetlana has to stop Larch on her own. She gets Foote and Chen to help her find Larch's house and once they find it, Svetlana goes in. In the garage, they find their old science teacher, Mr. Boyle (who supposedly disappeared a while ago), in his car completely drained of his blood. Svetlana, Foote, and Chen go inside the house and find Sandy, Marsha, and Madison in the basement sleeping with bandages where their arms fold like they had donated blood, which they didn't donate. Chen gets the girls out of the house while Svetlana and Foote go upstairs to find Ms. Larch. They find her sleeping on her bed. Svetlana tells Foote to help her kill Larch, but she wakes up and finds out what they are trying to do. Will she try to kill them, too? What I like about this book is how the author has Svetlana talk directly to the reader. Svetlana basically narrates the book. I like how she interrupts her conversation with someone else in the book and talks to you. Honestly, I liked almost everything about the book. Especially the part where the author leaves so much suspense after Larch wakes up when Svetlana and Foote are in her room with the steak above her. Also, I like when Svetlana and Foote go into the house, Svetlana tells the reader that the only way she could tell that Sandy and the other missing girls are in the basement is by the strong stench of bubble gum coming from down there. I don't dislike many parts of the book at all. But, I didn't like how, in the beginning, Svetlana is the only one who sleeps under her bed, and Larch and Bones thinks she is weird. I didn't like that because it didn't make since that she sleeps under her bed, and the others didn't. I also didn't like how out of nowhere, when Larch or Lenora are talking to Svetlana, they will talk to her out loud, and then all of a sudden they are talking to each other through their minds. I didn't like that because it was pointless to have them talking out loud one second, then in their minds the next. 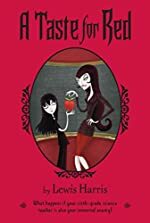 But all in all, I would highly recommend this book for children from the ages of 9-13 that like stories about vampires. Review written by Brooke (6th grade student). We would like to thank Houghton Mifflin Harcourt for providing a copy of A Taste for Red for this review. Have you read A Taste for Red? How would you rate it? Review: Petal's Problems by Lauren Baratz-Logstead is a magnificent story in which eight sisters travel to France. It is the 6th book in the Sisters 8 series. It is a humorous and exciting story about Petal getting all worked up about it being her month and discovering her gift or power. 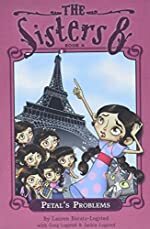 Eight sisters (Annie, Durinda, Georgia, Jackie, Marcia, Petal, Rebecca, and Zinna) get an invitation to go to a wedding in France. But, Petal would rather May never end because as June approaches she gets closer and closer to her month! But, time goes on and June arrives sending the eight sisters on an exciting adventure to France, even though Annie doesn't want to go. France is filled with adventure, suspense, fights, and Petal's murmuring strange words. Will she find her gift or power? Will Petal ever calm down? Find out in Petal's Problems. Petal's Problems is an amazing book. The writing created a scene in my head so that I could always picture what was happening. It's also fun to imagine the sisters interacting. It is both humorous and exciting. I have never read a book from the Sisters 8 series, but that's not essential to understanding the plot. I would love to meet the author myself and ask her how she was inspired to write this series. Review written by Andrea (6th grade student). We would like to thank Houghton Mifflin Harcourt for providing a copy of Petal's Problems for this review. Have you read Petal's Problems? How would you rate it? Over the Edge is the first book in the Chloe and Levesque series. I enjoyed this book because of its suspense and excitement. It’s very hard to stop reading once you get into the middle of the book. The main character Chloe is very interesting because she is not afraid to tell her opinion about things, even if it means hurting someone you like. She is very confident in herself. The author uses very realistic dialogue and descriptions which make it easy to visualize what is happening. There are multiple mysteries that Chloe solves that lead her to solve the main mystery of the book which is determining how Peter Flosnik really died. The suspense the author creates makes it really difficult to put the book down. I could not stop reading it. I had to finish the chapter I was reading each night before going to bed. It was very clear from the beginning of the book that it was a mystery. The ending was very surprising, and I could not believe it. In some ways I didn’t want it to be the ending because it was so traumatizing to me, and I thought something else was going to happen. I highly recommend this book to anyone who enjoys mysteries. Review written by Savannah (6th grade student). We would like to thank Raab Associates, Inc. for providing a copy of Over the Edge for this review. Have you read Over the Edge? How would you rate it? Review: Barbarians! Monsters! And bad table manners! Bogbrush the Barbarian, written by Howard Whitehouse, is tale of adventure, excitement, and evil monsters. When the tale begins, a family of yokels brings their newborn child to the naming ceremony. There, the child is declared the name Bogbrush. Let the tale begin! To begin, Bogbrush wants to be a mighty barbarian hero. But to do that, he has to venture to the Temple of the Great Belch. On his journey, he meets new friends who help him along the way. Also, of course, he meets new enemies on his journey. Will our hero get to the temple? I love this book! Everything about this book is awesome! The characters are great, the plot is unbelievable (in a good way), and the whole story is filled with suspense! Bogbrush the Barbarian is an adventure comedy recommended for children 6 and up. Bogbrush the Barbarian is, so far, not in a series. But I’d love to see some more stories. 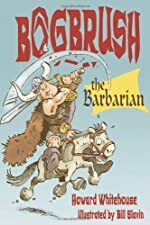 I truly give Bogbrush the Barbarian 5 out of 5 stars because it’s funny, and it, like Bogbrush does to monsters, slays boredom! Review written by Jake (6th grade student). We would like to thank Raab Associates for providing a copy of Bogbrush the Barbarian for this review. Have you read Bogbrush the Barbarian? How would you rate it? Review: Imagine flying mammals everywhere! You think that would be horrible but it’s not. There is one person who has been dealing with bats for thirty years! Her name is Barbara French. She is the main person in The Bat Scientistswritten by Mary Kay Carson. It is an amazing book that takes place in the United States and Mexico. This book is part of the Scientists in the Field Series. Carson loves her bat inspired job! In this book Barbara French educates people about bats. The Bat Scientist is non-fiction. So if you love non-fiction you’ll like this book. I absolutely loved it. Being a scientist is not easy. Barbara French has an even harder job. Barbara has a team of bat research scientists. These scientists go out trying to save bats. To do this she studies the bats environment. Sometimes, she visits schools to educate kids about bats. On these she get asked funny questions like do “bats burp”! She is also trying to save endangered bats like vampire bats. Barbara studies how bats live so she can recreate their homes in a safe bat friendly environment. This requires going out in regular places to find bats and see why they live there. Her job can be really challenging. Bats are killed for no reason and most of the time they are harmless to people. Barbara also helps little orphan bats survive without their mothers. She has found away to persuade people to stop killing bats. It is by taking cute pictures of them and writing books to educate people. She has been doing this for three decades. All of her dedication has paid off because tons of people have stopped killing bats. I really like that she keeps trying and never gives up. I recommend this book to ten years old and older. Out of ten stars I rate this book a nine star because it really teaches you about bats. I love this book because it makes me long to read more about bat lives. I feel my love for nature made this book extra interesting! Mary Kay Carlson is an amazing writer and wrote this book with a lot of interesting facts. However, if you are looking for an easy book to read then don’t pick this book. It is a not a bedtime novel. Nonetheless, The Bat Scientists is one of the best books I have ever read! We would like to thank Houghton Mifflin Harcourt for providing a copy of The Bat Scientists for this review. Have you read The Bat Scientists? How would you rate it? Review: Imagine building castles, cathedrals, and mosques with your bare hands working fifteen hours a day in the thirteenth century without any technology. The book Built to Last by David Macaulay shows about how these amazing structures were built in the Thirteenth century. Built to Last shows us about the reason why all these buildings were created and what key points they have which include strategy for war. This book provides us step-by-step ways they made each and every artifact and what they did to partake in each set of buildings. This book includes all your questions and answers about architecture. This book is very informational because it gives you the history behind of all the worlds’ magnificent questions. I think this book is very interesting how it gives you the way to think of how construction is much more difficult then it seems. How would you design it in case of anything that could happen? All of these thoughts ran through my head when I finished this book. Depending on what type of reader you are, it really depends when you will get hooked into the book. If you are into the architecture part of the book, you will get hooked right away. If you are more of the person who looks for action in the book, it may take you a little while before you're hooked, but I know you would love the book. This isn't the book where you pick it up and you just see interest immediately and read, read, read. I thought the book has the right amount of detail where you know what's going on and know everything with no random details. I give this book five out of five stars because it's interesting but yet makes you think of everything that you can do just by learning this. We would like to thank Houghton Mifflin Harcourt for providing a copy of Built to Last for this review. 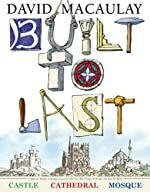 Have you read Built to Last? How would you rate it? Review: You’re flying over the ocean at forty miles per hour on an ancient rug. The wind is in your face and so is a mysterious fog. 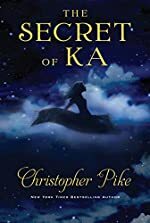 You can’t go back because that’s what Sara (a fifteen year old girl) and Amesh ( a one handed boy) are worried about in Christopher Pikes book Secret of Ka. When Sara goes to Turkey with her father she meets a boy she really likes named Amesh who’s a little older than her. At her father’s work site she finds a magic carpet. She and Amesh experiment with it and they lose control and are taken to an island with genies or djinn. On the island Amesh loses control of a djinn and leaves Sara alone without the carpet. Sara has to save him while discovering the truth about her life. What I like best about the book is the amazing story itself. It has adventure, secrets and magic. Sara is a smart, caring girl with an American teenage girl attitude. Even though the beginning is a little slow each chapter keeps getting better until you can’t put the book down. I recommend this book for kids in middle school and people who enjoy fantasy, mystery and romance. I rate this book a 8 out of 10, because even though it was a wonderful book it has an open ending and I’m not a romance person. When you read this book it will take you to another world. Review written by Shannon (6th grade student). We would like to thank Houghton Mifflin Harcourt for providing a copy of The Secret of Ka for this review. Have you read The Secret of Ka? How would you rate it? Review: Thirst, blood, and entertaining would be the words to describe The Reformed Vampire Support Group , written by Catherine Jinks. The main character Nina is mostly at her Mum’s house, but she also goes to some unexpected places during her travel time. However, there is a catch, she can’t get caught in the sunlight. What would be so awful that would cause Nina not to be able to be in the sunlight? It stems from an event that happened over 30 years ago. Nina is a 15 year old who happened to be in the wrong place at the wrong time. Now, the priest happened to know what was going on with Nina. He helped her get through the tough times with the help of some creatures who went though the same thing. It happened that the tough times were changing from human to immortality. Even though she went through some difficult times she got through them and is still living with her Mum. It is a misconception that vampires and other mythical creatures are all mighty and powerful. They are not really all powerful. In fact they can do less than humans. Their only strength is to fang people (which means to turn people into vampires). The Reformed Vampire Support Group is supposed to help vampires keep from fanging people, and Nina goes to it nearly every Tuesday. One Tuesday, however, there is a twist. One of her own kind is staked and burned. Now, the vampires have a mystery on their hands. As they work toward a solution, they “run” into trouble and a new friend. What is there trouble, and who is their friend? You may never know unless you read the book. Someone who loves the Twilight saga would love this book. Even people who don’t typically like fantasy books would still love this book because of the way Catherine Jinks writes it doesn’t even seem like you are reading fantasy! It is so involving and wouldn’t realize it is fantasy because you are not paying attention to the genre; you’re paying attention to the book. This book shouldn’t be left on the book shelves! Mrs. Jinks sets the scene by using vivid words and phrases. For example Mrs. Jinks writes “a stainless steel toilet without a seat, an unmade bed, and a barred gate are all that fill this room.” That is why you should read her book. It will keep you on your toes until you are finished reading it. Review written by Caitlin (6th grade student). We would like to thank Houghton Mifflin Harcourt for providing a copy of The Reformed Vampire Support Group for this review. 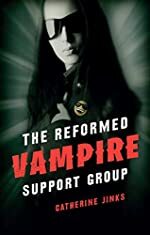 Have you read The Reformed Vampire Support Group? How would you rate it? Review: Imagine you are fishing on a river bank with your friend when you notice a dark mysterious movement at an old house, abandoned and locally known as haunted. This is the suspense you will feel when you read The Mystery of the Silver Statue. The author of this book is a new author named Raymond C. Perkins J.R. The main character is named B.T. ; his best friend is 14 years old so I assume that he is too. This book is a mystery, and is actually based on a real life mystery. It is the very first book in a series by Raymond C. Perkins J.R.
Best friends B.T. and Jimmy are fishing on the bank of a river when B.T. notices some movement at an old abandoned house. With the help of some spy knowledge, they embark on a quest to find an old statue from the revolutionary war. Their journey almost gets one of them captured by two robbers searching for the statue as well, and forces them to figure out numerous puzzles. This story is based on a real mystery from Vermont history. I like B.T. because even though he has disorders from the brain tumor he had removed when he was 5, he still keeps going in spite of them. I especially like his best friend Jimmy because he is a lot like me, athletic, blond-haired, and has freckles. The author does not use much figurative language but he still wrote the book well. The book has a very good plot; the author makes the suspenseful parts seem as if they're real. I think the author filled the genre very well; it has all of the attributes of a really wonderful mystery. When I read the book I was immediately hooked, that is a sign of a truly good book. The author is very nicely descriptive; he made you really feel as if you are there with B.T. and Jimmy fishing at the beginning. I think that he paced the book very well, he included suspense, and then some calmer pages, then some suspense, then calm and so on. I think that the ending was written very realistically as to what might actually happen. Overall, The Mystery of the Silver Statue is a great book that will be loved by all readers. I rate this book a 9.5 out of 10 stars. Review written by Noah (6th grade student). We would like to thank Raymond Perkins for providing a copy of The Mystery of the Silver Statue for this review. 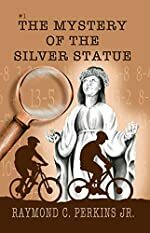 Have you read The Mystery of the Silver Statue? How would you rate it? Review: Imagine yourself walking through the woods and you spot a huge hole in the ground. That’s exactly what happens to Darius Bell, age 10, in Darius Bell and the Glitter Pool by Odo Hirsch. The Bell family’s ancestors received many gifts from the town. In return, the Bell family must give the unknown gift to keep their property every 25 years. Darius thinks he has the answer to his family’s “Expensive Gift” problem – but will it do any good? I really loved Darius Bell and the Glitter Pool. One of the most wonderful things is how the characters are created. Other than Darius, my favorite character is Paul, who always repeats what his father says. I also like how Mr. Hirsch uses commonly used sayings like “You can’t have your cake and eat it too.” (This is about ½ of Paul’s vocabulary!). When I reached the point in the book in which Darius sees his solution, I rooted for Darius – but like any story’s plot, the problem had to come eventually. I loved how Mr. Hirsch used his skills to add plenty of suspense to the plot. Also, since the book is realistic fiction, I felt as if I could just jump into the characters. Speaking of good characters, let me just tell you the ending is even better. It came with a funny twist you wouldn’t have expected. Also, has it ever taken you a few chapters to get hooked on to a book? Usually I just read a sentence and I want to read on, but in this book, not only was I hooked on really fast, I kept reading because this book didn’t drag along. Instead it moved on and kept my excitement at a high level. I suggest you read Darius Bell and the Glitter Pool because it is a very intriguing book. We would like to thank Raab Associates, Inc. for providing a copy of Darius Bell and the Glitter Pool for this review. 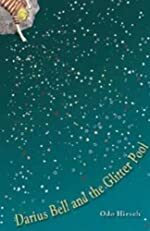 Have you read Darius Bell and the Glitter Pool? How would you rate it? Review: Imagine being a nobody in high school whose been given a second chance. Would you try to become someone? Or would you sick with the status quo? CG Silverman decides to shake things up a bit in It Started With a Dare by Lindsay Faith Rech when her family moves from Philadelphia to the suburbs. CG takes this move to the upper class suburbs as her chance to finally be somebody - at all costs. CG's family moves into Beaubridge during her sophomore year in high school. It doesn't take long for CG to figure out who the "Queen Bee" is at the high school. But what shocks CG the most is that Alona and her posse actually walk over to her, the girl from "the other side of the tracks," and start up a conversation. CG sees them in their height-of-fashion outfit and observes her "grunge" look and realizes that in mere hours, she's made it big. "The reining duchess of teen suburbia - the impossibly stunning Alona Spelton" is talking to her, a nobody! CG creates, on the spot, an entirely new persona - the "bad girl" from the city. Before long she's tight with the "in" crowd and digging herself deeper and deeper into her life of lies. Along the way, CG lies to nearly everyone she knows. But, when the lies come crashing down - will she be able to handle going from the "top" to "nonexistent?" Rech's light-hearted tale of high school is a must read for any girl who ever wanted to be somebody else. It Started With a Dare is an absolutely entertaining and thought-provoking book. Rech incorporates real high school issues such as friends, relationships, parents, and identity and puts them all into a story that will keep you reading through the night. CG has in her a little bit of every high school girl. She is insecure yet confident, wants to be herself yet craves the clique, needs love but unsure of where to find it. She goes from being a loner to being a trend-setting icon to barely existing. It's every girl's dream and nightmare all wrapped in one. But, Rech doesn't let the tone ever get too heavy. She fills the pages with light and entertaining prose. When CG is trying to figure out why one of the "alpha" girls, Grace, is angry with her, the "Queen Bee", Alona, concludes Grace is jealous. "'You really think she's jealous?' I whisper to Alona. She gives me the affirmative nod. 'Totes.' That's Alona speak for 'totally.' Why save the rainforest, the whales, or the world when you can devote your time to saving syllables?" Grace always has a wry comment that will elicit a chuckle. She's smart and one of a kind. It Started With a Dare is a teen must-read! We would like to thank Houghton Mifflin Harcourt for providing a copy of It Started With a Dare for this review. Have you read It Started With a Dare? How would you rate it? Review: Murder, suspense, horror and the supernatural are words that describe All Hallows Eve by Vivian Vande Velde. This is one of the many horror tales written by this author that will make some people want to sleep with the lights on. In one of the 13 stories, “Morgan Roehmar’s Boys,” a dead murderer strikes in the form of a ghost. Ashley, a 16 year old girl, is working in a barn used in a haunted hayride. While working her shift, she is creeped out by the fact that she is standing on the spot where seven boys were murdered. When a storm hits, the power goes out and Ashley is forced to take shelter in the barn until her friends come out to get her. What happens next will excite the reader. This isn’t the only chilling story. In the story “When and How,” four friends decide to pay a visit to a psychic on Halloween night. This psychic tells them when they are going to die. The psychic says three of them were going to die that same day. The remaining one of them will die when she is 72 in a plane crash. How it ends is full of suspense. This book made me want to sleep with the lights on. I think it is amazing how she put this many spine chilling stories into one book. The author is very descriptive. In most of the stories she writes, she writes in the perspective of the victim. It made me feel like I was the victim that was about to meet my fate. I also enjoyed the fact that, unlike one long book that takes time to get to its climax, there are 13 stories. This means there are 13 individual climactic endings. She is able to keep me excited through all 13 stories. I could not wait to read the next one. On a scale of 1-5, I gave this book a 5. 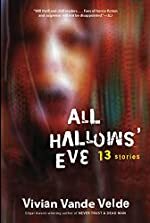 If you like horror films, you will enjoy reading the 13 stories written in All Hallows Eve . Review written by Zach (6th grade student). We would like to thank Houghton Mifflin Harcourt for providing a copy of All Hallows Eve for this review. Have you read All Hallows Eve ? How would you rate it? Review: Imagine your best friend dying in a car accident, but you survive. Your parents think you should take some time off so you go to visit your grandma in California. A man tells you has talked to your deceased friend. This is what 17 year old Catherene must deal with in the book The Presence by Eve Bunting. Catherene has had a tough time ever since her best friend Kirsty died in a car crash, but when Catherene meets a mysterious man who says he can talk to the dead, things get strange. The Presence is a romance/ghost story. Catherene's grandma is watching over her 24/7 because in the newspaper she reads that a girl just like Catherene has disappeared. Catherene's grandma works at the local church where Catherene meets Noah, a mysterious man (who's a ghost) who says he has talked to Kirsty (CREEPY!!!). So when Catherene starts to get know Noah, he starts to show feelings for her. Then Grandma's neighbor, Miss Lovelace, gives Catherene her diary from her childhood. When Catherene starts reading the diary everything gets really freaky because it turns out Miss Lovelace knew Noah when she was a child. Since Miss Lovelace is really old, how is this possible when Noah is only 17? This book really wasn't for me. Based on the title and the cover of the book, it seems as if this should be a ghost story, however it's mostly a romance novel. The pace of this book at times is slow and occasionally the wording is a little confusing. Catherene tends to whine frequently so it's hard to like her. If you like mystery/romance novels, this book is good for you. The book is a ghost story, but only because there's a ghost in it. The most thrilling part is the end because it's very suspenseful and if you need to pick a book for a report this is a good, uncomplicated book to write about. We would like to thank Houghton Mifflin Harcourt for providing a copy of The Presence for this review. 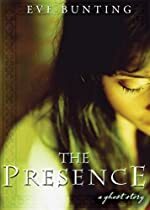 Have you read The Presence? How would you rate it? Review: Look behind you. Are you sure no one is following? Let’s hope not, because then you might have just as much bad luck as Cadel, the main character of The Genius Wars , by Catherine Jinks. Cadel, 15 years old, has finally got it good; nice foster parents, a good education and good friends. But life for this genius doesn’t stay all great. Matter of fact, it’s about to get worse than ever before, as his friends start going to the hospital. This is a science fiction book but it is set only a little bit into the future. This the final book in the Genius Trilogy , so if you read the first and second books, Evil Genius and Genius Squad, you know that this is a very important book to read. Cadel is living a normal life until Prosper English, his old enemy starts popping up on CCTV camera networks and the police learn about it. Cadel then gets called up to the big leagues to help his detective dad and cops catch this criminal. But it will be hard since Prosper English has genius criminals helping him do his dirty work. And if that isn’t hard enough, every friend or person associated with Cadel is ending up hurt. Cadel can’t take it. He hacks in to the hospital’s computer system and says he’s dead. Everyone believes it. Next he takes a trip to America to meet up with some old friends and hopefully find Prosper English and end his schemes for good. Will he do it? Will Prosper point a gun at his head again? Or maybe it’s just a false alarm? You’ll never know until you read this book. Overall, I liked The Genius Wars . I also love the author and the way she can squeeze three genres into one: action, sci-fi, and a little mystery. The characters are portrayed very well but I’m not sure we get to learn that much about them. The dialogue is Australian, but you can still understand it easily. If it concerns you there are a few swears in it. The overall story is very addicting but it will make it much easier to understand if you read the first two books because a lot of characters are from the first two books. The ending is a little sad and comes to an abrupt stop, but it is the end of the series. You will want to keep reading this book even after it ends. This book is not slow and it will never become slow. Action is a key component to the story. Like I said before, this book has excitement that will never stop. So if you are a fan of sci-fi, action, or even mystery you might like this book. I’d rate it a big 9/10 because it isn’t my absolute favorite, but it sure is one of them. Put down your video game controllers, and head to the store to buy this one, because this book has a much higher entertainment level than that T.V. Review written by Sean (6th grade student). We would like to thank Houghton Mifflin Harcourt for providing a copy of The Genius Wars for this review. 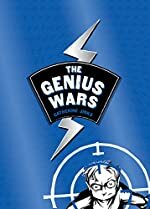 Have you read The Genius Wars? How would you rate it? Review: Imagine a brown ball spiraling through the air, the sound of the ball hitting the hands of a football player, and thousands of fans cheering. Mitch True has to report every moment for the high school newspaper the Lincoln Light. Dan "Mitch" True is a senior in high school who works on the school newspaper. 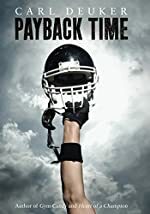 Payback Time by Carl Dueker captures what it's like to go to high school and be holding a secret that could affect the whole school. Payback Time is a sports fiction novel that teaches a little lesson. It's Payback Time! This story mostly takes place in a high school where Mitch has a down moment with his newspaper. Reporting the sports events for Mitch isn't always the best. He finds out about the background of one of the new players Angel Marichal. It isn't a pretty story. Mitch doesn't know the whole story so he tries to look into Angel's past. He doesn't always find what he needs but he does come up with numerous possibilities. Could Angel be at Lincoln High School, even though he shouldn't be? Does the football coach have anything to do with this? Is this the story Mitch has been waiting for, for his entire life? I enjoyed reading this book so much. Sometimes I couldn't put it down. Carl Dueker really keeps the pace but he doesn't skimp on the detail. He describes the football games with an amount of detail that is unimaginable. He uses great language like"It was baffling. There sat Angel, off by himself at the end of the bench. Had McNulty forgotten about him? How does a high school football coach forget six foot three and 220 pounds of muscle in a game where his team was being out muscled?" He kept you on your toes and you never knew what was going to happen next. I really got into the plot. Mitch True is not exactly in shape. He isn't the most handsome guy in school either. I was hooked right of the bat. It didn't take long for the story to heat up. Mitch True could have the story of his life but if he published it he could be putting someone in danger. He tries to figure all of this out and more with the help of his friend Kimi Yon. The ending was great. It wasn't disappointing like other endings I have read. I rate this out of this world book an amazing 5 stars! We would like to thank Houghton Mifflin Harcourt for providing a copy of Payback Time for this review. Have you read Payback Time? How would you rate it? Review: Moses and Hitler - two people with an uncanny ability to influence people - each fighting for a different side. What made Moses sway his followers to do good, and Hitler influence his followers to do evil? In Lisa Desrochers' novel, Personal Demons , the answer becomes alarmingly clear. Moses was "tagged" for Heaven, while Hitler was "tagged" for Hell. Little does high school student, Mary Francis Cavanaugh, know, her name will one day be as known as Moses and Hitler - and her soul is up for the taking. Will Heaven be able to tag her first, or will the Demon sent from Hell beat him to it? Frannie feels she is just like every other kid. In fact, she's certain she is far less remarkable than most. However, when two new students come to Haden High, Frannie's life is turned upside down. Luc is gorgeous beyond belief. He has a hint of danger and is hot - literally. Even though Frannie senses Luc is untrustworthy and dangerous, she is uncharacteristically draw to him. When he makes it clear that he wants Frannie, and nobody else, she's at a loss. Gabe, on the other hand, is almost glowing with beauty. Around Gabe, Frannie feels peace and calm. She is overwhelmed with the sense of love she feels with him almost instantly. Both boys, one fighting for good and the other for evil have but one plan for their time at Haden High - to tag Frannie's soul. It doesn't take long, however, for Luc and Gabe to realize that this isn't the normal every day tagging. They find in the end that there is a greater battle awaiting them. Which one will take her heart? And more importantly, which one will take her soul? Personal Demons is an exciting journey through good an evil. It is every teenage girl's dream to have the two most gorgeous boys fighting over her, and Frannie's living that dream. However, that dream's not all it seems. Readers will find themselves hoping for Frannie to choose wisely, to be tagged for Heaven, but Luc's character is so charming and develops seamlessly throughout the story that readers will question their own judgment. Personal Demons contains all elements of a good teen fiction novel, romance, danger, intrigue, and relationships with peers and parents. Frannie wants to be her own person, but the rest of the world won't seem to let her. It's exciting to see her fight against the pull the boys have, and to rebel against her strong Catholic upbringing and "Leave it to Beaver" parents. Plus, the storyline is thought-provoking. What if there really were angels and demons living among people tagging their souls? Readers will find themselves wondering if they've been tagged! It is important to suspend disbeliefs a little, though when reading the novel. It is hard to believe that Frannie wouldn't find it really odd that this boy that's seducing her has red eyes, smells of brimstone, and has freakishly hot skin. However, though Frannie mentions it, it is definitely not a big deal. It's as if red eyes are a normal everyday occurrence. Plus, although the book is focused on Frannie, Luc, and Gabe, the friendships Frannie has would definitely play a bigger role in her life than they appear to in the book. The girlfriends are strong at the beginning, but then are almost forgotten. All in all, though, Personal Demons is a first-rate book for teens thriving for excitement and danger. We would like to thank JKSCommunications for providing a copy of Personal Demons for this review. 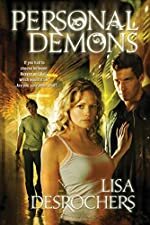 Have you read Personal Demons? How would you rate it? Review: Trouble, Magic, Illusions! The Dragon in the Library by Kate Klimo is the 3rd book in the Dragon Keeper’s series. The Dragon Keeper, Jesse is the cousin of Daisy. Daisy is also a dragon keeper. Jesse is living at Daisy’s house for the summer and together they have been having exciting time. Emmy, the dragon, is starting to get a little grumpy. This book is mainly for children 12 and younger who like fantasy that takes place in the real world. Jesse and Daisy have another problem in their hand. Their dragon is growing fast and is grumpy because she is missing “something.” That really is starting to annoy the cousins. They are trying various things she likes to cool her down. The dragon keepers have to find that “something” to cool that behavior. But that’s not the only problem the dragon keepers have to face. When they go to talk to Professor Anderson, a dragon specialist, they find out that he has been kidnapped by someone. They think it was possibly the women they were talking to on the computer. After doing some research they find out it is the girlfriend of their archenemy- St.George the Dragon Slayer. When they are doing research they learn that all the books in the hidden library are not books. Now the dragon keepers have to rescue the professor and find that “something” for Emmy to calm her down. 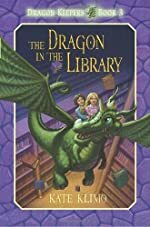 The Dragon in the Library is good for readers who like fantasy or mythical creatures like dragons, witches/magic users, self elves, and other creatures or fantasy characters. It is for young readers, but will be enjoyed by middle school students or high-level readers, too. The author keeps the line of thought straight. It’s not like the characters start changing their mood every chapter. I personally think that it was a fine book. The characters use some jokes and the characters are kind of funny. It was hard to understand though Emmy was missing. I thought all the things Jesse and Daisy thought in the book in what Emmy was missing. At first I thought she was missing wings or a jewel but at the end I found out that it was none of those things. At the beginning the author describes the characters so that if someone has not read the 1st or 2nd book they could find out all about the characters. Also based on the first chapter people could know what happened in all the stories, so it is not critical to read the first and second books first. But if you get a chance read the earlier books, I would still recommend it. In the end, this is a VERY GOOD book. Review written by Vraj (6th grade student). We would like to thank Random House for providing a copy of The Dragon in the Library for this review. Have you read The Dragon in the Library? How would you rate it?